The Construction Careers Pathway (CCP) Alliance is a collaborative effort to provide year-round construction career exploration opportunities for Minnesota youth. The intent of CCP is to provide work-based learning exposure starting in middle school and concluding with a career in the Minnesota construction industry. Additional outreach emphasis is placed on recruiting females and members of minority and immigrant groups who historically have been under-represented in the construction industry. The CCP Alliance has multiple strategic partners within the construction industry, labor, community, education and government. *Funds for this project were appropriated in 2016 Minnesota Session Laws, Ch. 189, HF. 2749, Art. 12, Sec. 2, Subd 2(x). Founded in 1994, the Construction Careers Foundation is a 501(c)3 not-for-profit organization. It is guided by a volunteer board comprised of construction-business owners, management firms trade associations and labor leadership. Individuals representing the following groups serve on the board of directors: Carpentry Contractors; Minnesota Drywall & Plasterers; Minnesota Environmental Contractors, Floorcovering, Painting & Wallcovering; Minnesota Mechanical Contractors; the Minneapolis and St. Paul Chapters of the National Electrical Contractors Association, Thermal Insulation; and the Minneapolis and St. Paul Building and Construction Trades Councils. As employers of our current and future workers and experts in the construction industry, Construction Careers Foundation board members are committed to creating opportunities to recruit, prepare and retain motivated individuals who are representative of Minnesota’s future workforce. The Construction Careers Foundation is one of the few organizations in Minnesota in which multiple construction trades, and their related trade associations, partner with schools, teachers, students, parents, labor and business. Our shared vision is to motivate underrepresented youth to graduate from high school, give them the chance to explore the various opportunities in the construction trades and facilitate their entrance into careers in their chosen trade. Want to donate to Construction Career Pathways? Pat Wagner is the Construction Careers Foundation (CCF) executive director. She serves as a visionary for CCF and, as a result, is responsible for achieving the mission and goals of the organization through collaboration with the CCF Board of Directors, staff, consultants and strategic partners. In addition, Pat is responsible for fund-raising to ensure that all programs and activities are adequately supported. Pat grew up in Racine, Wisconsin. She earned her undergraduate degree from the University of Wisconsin – Madison and her master’s degree from Minnesota State University, Mankato. She is an avid hiker and tree hugger. Her passion is to promote equal access to jobs that can sustain individuals, their family members, and their communities. 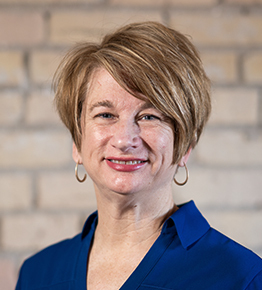 As senior director of Construction Careers Foundation (CCF), Sarah Lechowich is deeply passionate about co-creating sustainable equity work for Minnesota families. She believes in the butterfly effect, where a sustainable wage for one individual will impact a whole community. 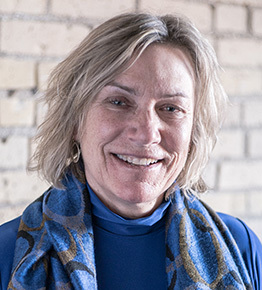 Before joining CCF Sarah worked as the program director for Trading UP, the a human rights commissioner for the City of Saint Paul, and as an adjunct faculty member with North Hennepin Community College. 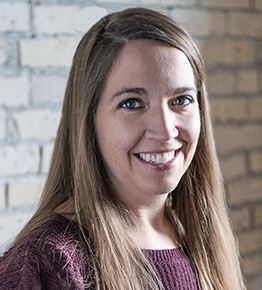 Sarah grew up in Saint Paul, Minnesota, and earned her masters degree in communication studies from the University of Minnesota. In her spare time, you may find Sarah on motorcycle adventures, exploring the outdoors with her two children, or learning new skills such as glass fusion and SCUBA diving. Sam Ebute is the director of the Minnesota Trades Academy. He first served as an MTA youth crew leader for this program for 7 years. In 2015, he became the director for all of the crews. 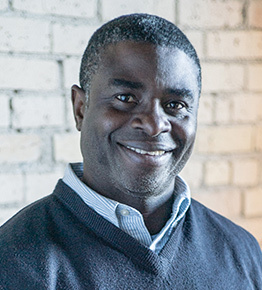 Originally from Nigeria, Sam came to the United States in 1983 and lived in Menomonie , Wisconsin, before moving to the Twin Cities area in 1986. Sam is deeply committed to working with our youth. He has been involved in the high school education system since 1997, where he has focused on behavior intervention and youth counseling. Through MTA, Sam hopes to be an ambassador for young men and women to create a pathway for a possible career in the construction trades. 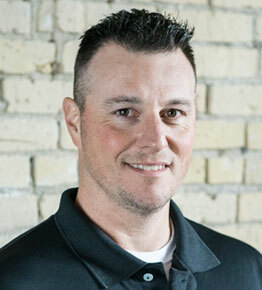 Justin Rost is the interim director of the Minnesota Helmets to Hardhats program. As a United States Marine Corps veteran and a second generation Local 10 sheet metal worker in the Twin Cities, he has seen firsthand the opportunities that the construction trades have to offer. Justin is excited to help fellow veterans who may be unemployed or underemployed find a career with the union construction trades. Justin is an avid outdoorsman and car enthusiast. He lives in Zimmerman, Minnesota, with his wife and their two daughters. Donna Kusske is the director of the Building Minnesota Apprentice Program (BMA). Her focus is on increasing awareness and participation of building construction apprenticeship programs throughout Minnesota. Donna raises the visibility of BMA by promoting the program within the construction industry. She was born and raised in Minnesota and attended Inver Hills Community College. 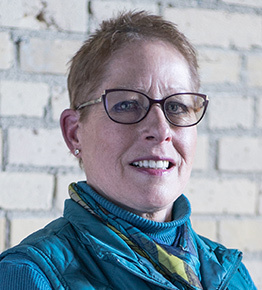 Prior to joining BMA, Donna owned and operated a Mechanical Contracting Company for 19 years and worked as a senior buyer for a general contractor in Minnesota. In her spare time, she enjoys golf, fishing and the outdoors. Donna, her husband and their black labrador live in Hastings. Mary DesJarlais started her career in workforce development in 2002 when she ran a program called JITT (Jobs in the Trades) specifically designed to attract women to non-traditional construction careers and then connect them to union apprenticeship training programs. Since then, DesJarlais has gone on to work for the Minnesota AFL-CIO and the Minnesota Department of Labor and Industry to promote registered apprenticeship training to youth and adults. DesJarlais is also a published fiction novelist. Her passion is connecting people to exactly what they need. MN Contractors of the National Electrical Contractors Assoc.